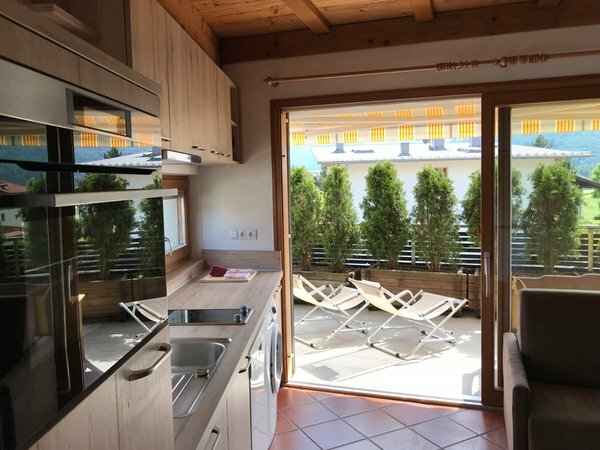 Residence Alping is located in Bruneck, in the centre of the Skiing Resort Plan de Corones / Kronplatz. 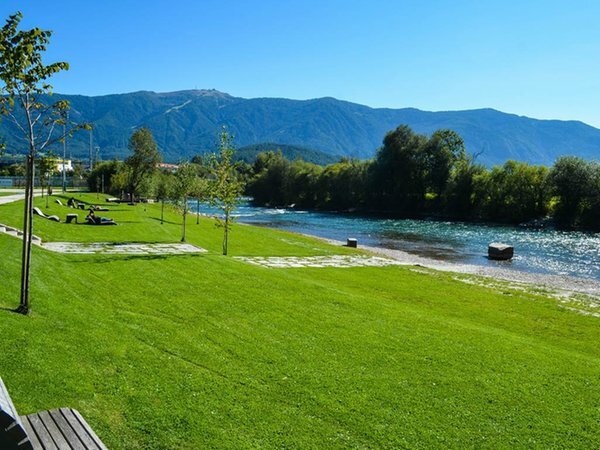 Bruneck is also the main town of the valley Pustertal/Val Pusteria in the Alps, a well renown place for both summer and winter holidays. 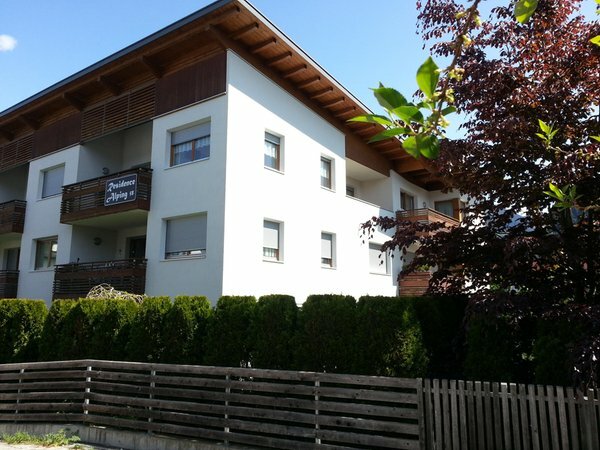 All the Apartments of Residence Alping are located in buildings with the typical modern mountain architecture. The flats are furnished with care for every detail and they are fully equipped. Each apartment features a sunny and private terrace, TV and free wireless internet. Indoors parking at your disposal. The prices include free entry to the indoor swimming-pool Cron4 and a discount for the admission fees to the sauna and wellness facilities of Cron4. The guests are offered the "Holidaypass" free of charge as well, which can be used for the whole period of the stay. Come and spend your holidays in the mountains here! Studio at 2nd floor with one bedroom, bathroom, living room with kitchenette and balcony. Studio at the ground floor with one bedroom, bathroom, living room with kitchenette, with terrace and garden. Studio at the 2nd floor with balcony and elevator, one bedroom, bathroom and living room with kitchenette. Apartment at the 2nd floor with balcony and elevator, with two bedrooms, bathroom and living room with kitchenette. 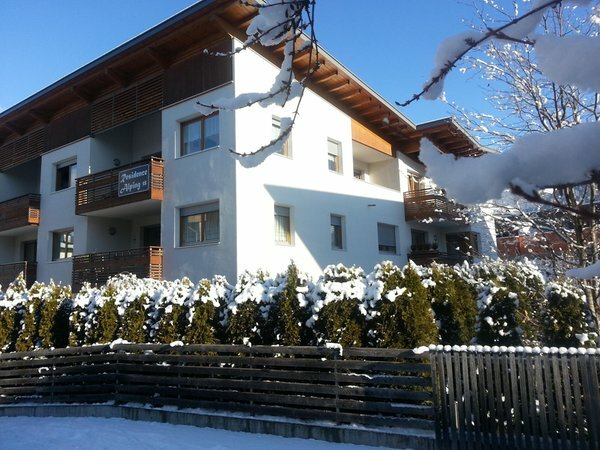 We are very pleased with the winter holidays we spent at the Alping apartments. 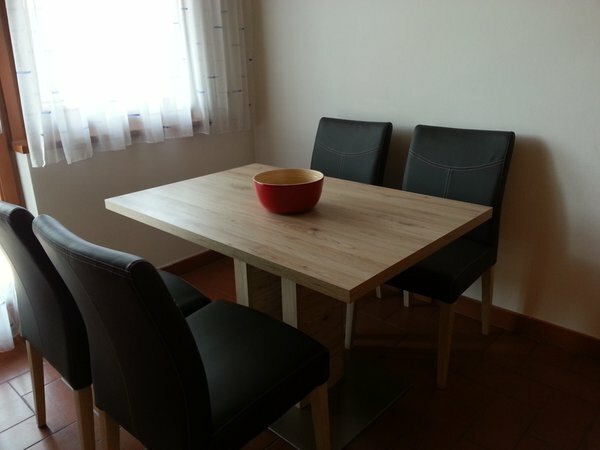 The apartment was really nice, comfortable, very clean and fully equipped. Good location, good quality for a good price. We had a great stay there. Claudia, who took care of our stay, is a very nice person. It is a very cozy and home-like apartment in a peaceful and beautiful place. Claudia was very welcoming and caring, making sure everything was just right. 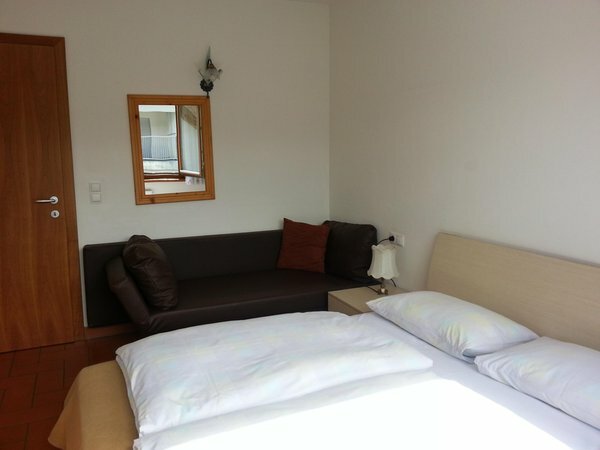 The apartments are in a convenient location to reach the city centre and the ski resort by bus or walking. We had a great stay there. Thank you! 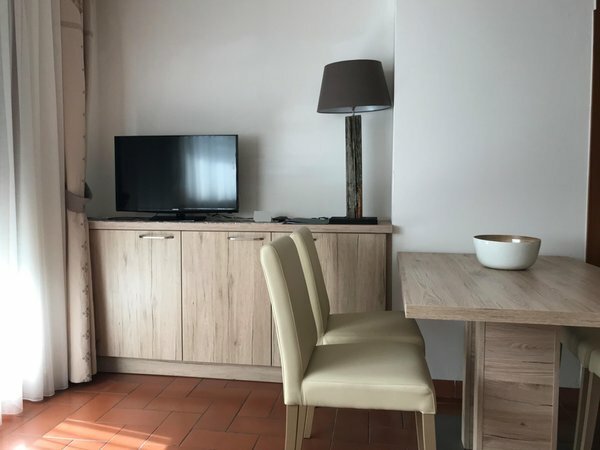 My family and I spent seven beautiful days in January 2019 at Residence Alping, in a very comfortable and modern furnished apartment. The apartment was clean, with a well equipped kitchen and so many wardrobes to put our stuff in. The apartment has a private garage in the basement which can be reached by elevator and stairs. Claudia is a very kind host, which gave us so much useful information about Brunico, the Kronplatz ski center, Kron 4, public transport etc. the Holiday Pass, which we received for free, is excellent for guests using public transport (city bus, ski bus or train) to reach ski centers or other nice places in South Tyrol as Bolzano or Merano. 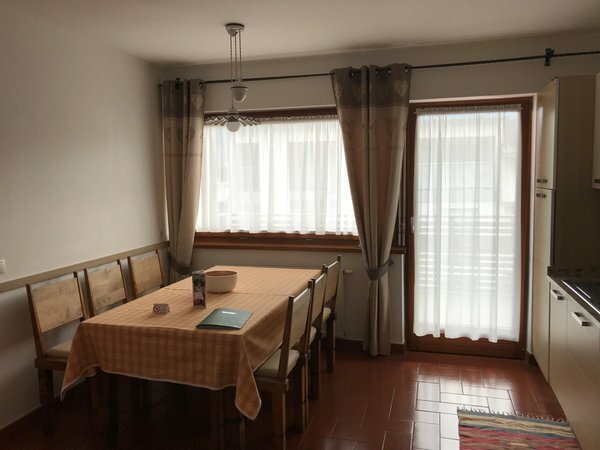 Bus stops are very close to Residence Alping, and the railway station of Brunico Nord is only 15 minutes on foot. In one word, we felt like at home and Claudia was an excellent host. Kronplatz is the best ski center we have ever been on. 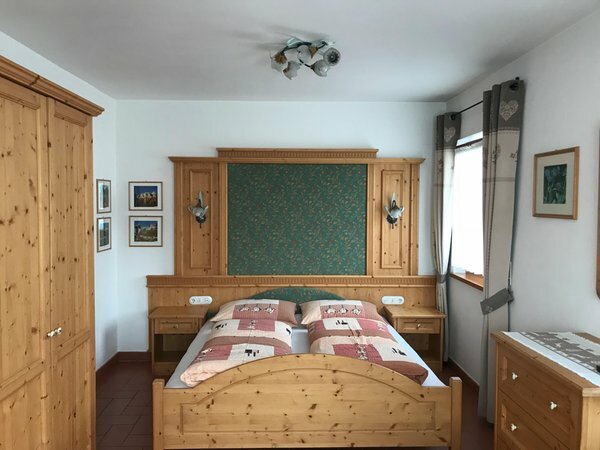 We were in Bruneck in the first part of July 2018 and we spent one week in the Alping residence. 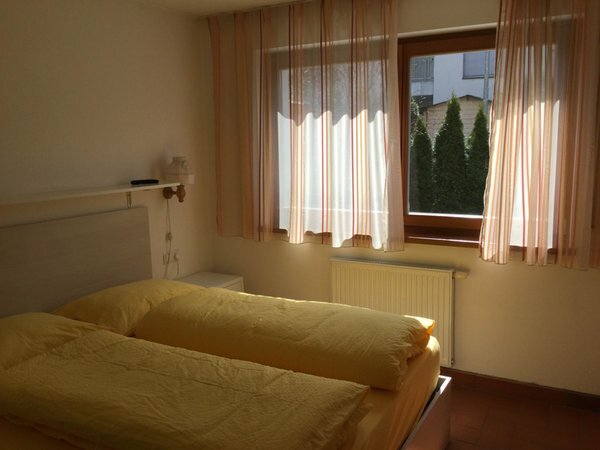 We liked it very much, the apartment is clean, very-well equipped and there is a lot of light. It's got everything you need and everything works perfectly. The private garage that comes with the apartment is very convenient. The place is peaceful and quiet and it only takes a 15 minutes walk to the city centre. You also get free tickets for public transport, which we used quite a lot because the transport system is very efficient and the buses punctual. The owner of the place is very friendly and efficient and immediately responds to all queries. We highly recommend it! We spent there 10 days after Easter and have stayed there several times before. 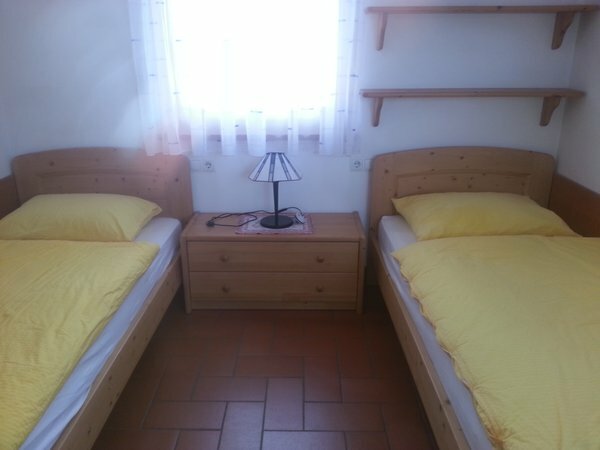 We like to stay at the Residence Alping, so we will spend our holidays there also in the future when we are in Bruneck. 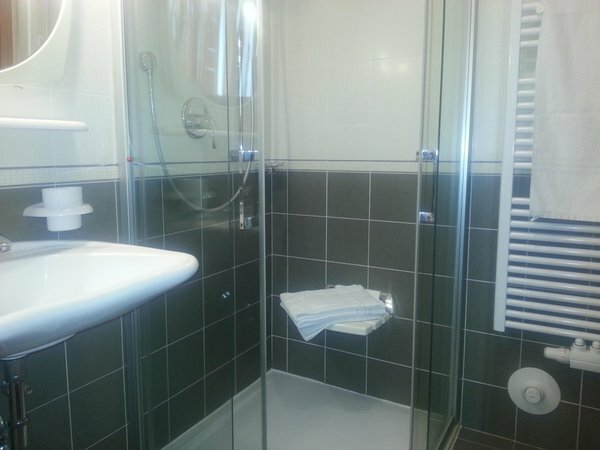 The apartments have everything like mentioned on the home page and they are always really really clean. Claudia (the owner) is really nice and welcomes you friendly every time :-). She is reachable at any time if you have questions. We are a family with two small children and they also have for them a baby chair and a baby bed. The parking facility in the garage is great and the city center and several ski resorts are close by. We like to stay there and recommend the Residence Alping! We are very pleased with the winter holidays spent at the Alping apartments. 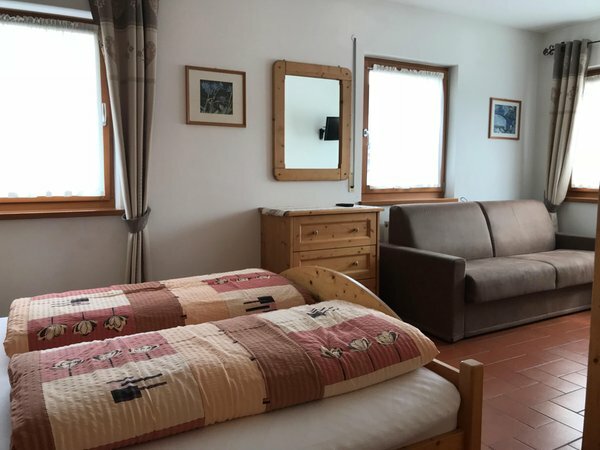 We received full information with regard to ski services, how to use the ski lifts and how to spend our free time (swimming pools, saunas, restaurants). We were treated with the utmost attention by the landlady, Claudia, who made our stay very pleasant and unforgettable. 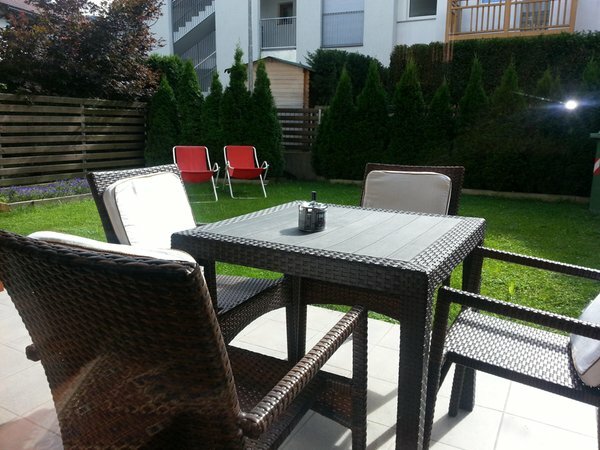 Great apartment, well equipped, clean with a nice terrace. First class host: everything explained perfectly and always helpful. We hope to return next year. Really worth to stay here for the holiday. 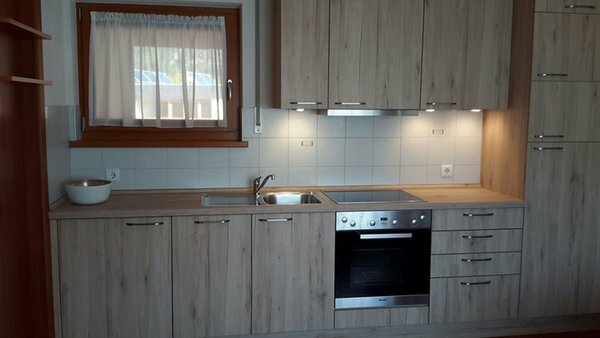 Well-furnished, fully equipped and clean apartment - all was exactly the same as displayed on the website. Very friendly and helpful host - thank you Claudia! 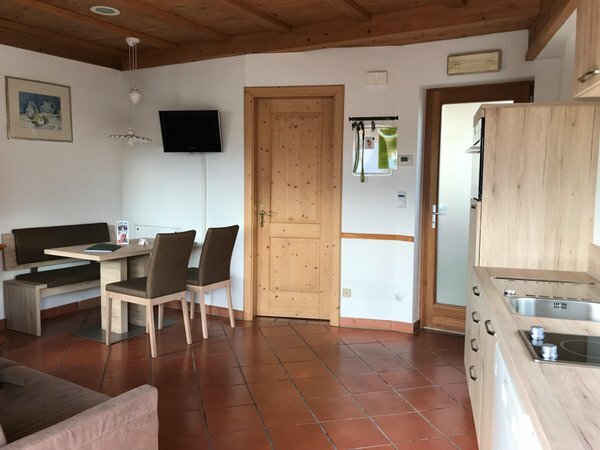 Residence Alping is definitely worth recommendation! 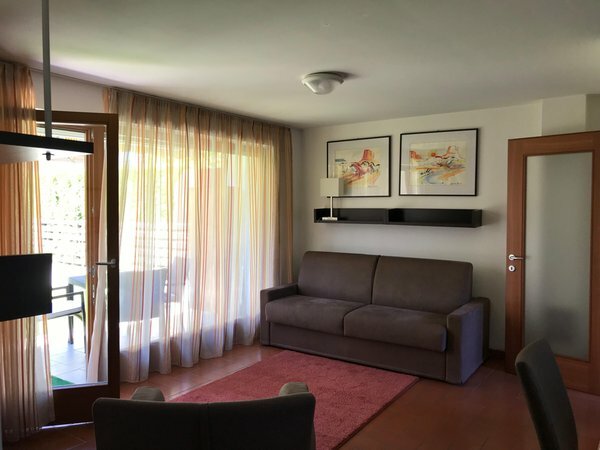 A very nice and modern apartment, covered parking, friendly and very helpful host Claudia, free entrance to pools (Cron4)! Thank You once again for your service and help! 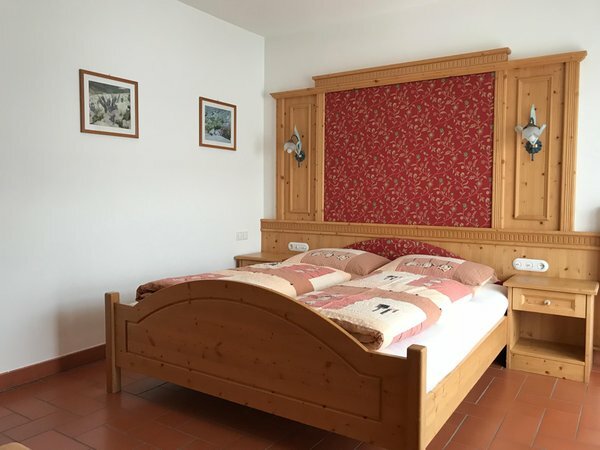 We have always spent our holidays in South Tyrol for more than 30 years, uninterruptedly. It was in fact in 1983 when we "discovered" this beautiful region for the first time and it was love at first sight. 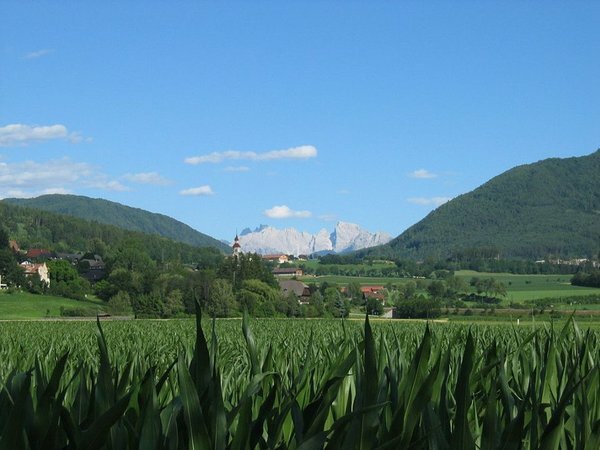 We have always visited many towns, lovely mountain villages, alpine huts and all the mountains of South Tyrol. We have been to many museums and cultural places, too. Everything that this region can offer has been a constant opportunity for all our family and an excellent occasion to discover and experience something new and interesting. 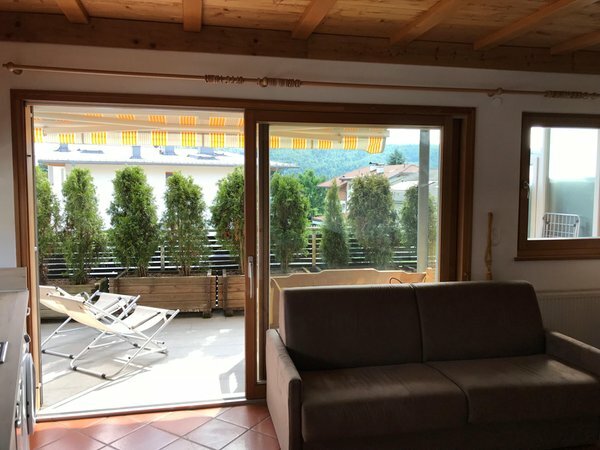 But 5 years ago something even more "beautiful" happened: in 2011 we decided to spend some days of relax and tranquillity at the Residence Alping of Bruneck. We still remember those very first days, clearly... It was on the occasion of the first days of November (a short period of holidays, which Italians have, to celebrate "All Saints' Day" and to commemorate "All Souls' Day"). Since that occasion we have been spending our holidays in this residence and still today we are enjoying ourselves in this wonderful place. 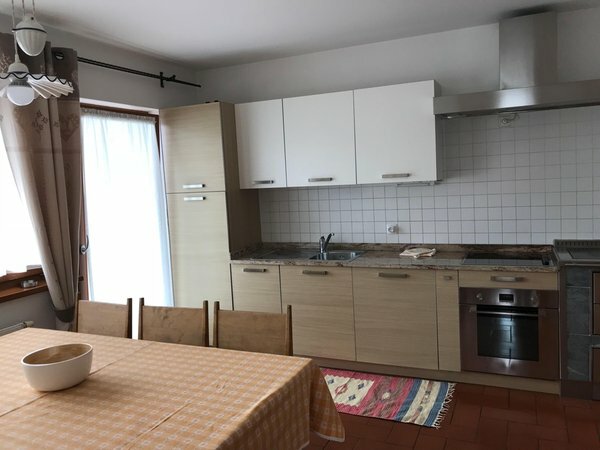 All the apartments are bright, very clean, filled with technological comforts (sat tv, very good wi-fi connection, etc...) and the flats are "equipped" with all what a family needs (for example: modern dishwashers and cosy bathrooms, with new washing machines and efficient showers). But the most "beautiful thing" is that in this residence you feel at home. Nothing compares to this wonderful place, especially thanks to the attentions of the owners: Mrs. Claudia Premi and her father, Mr. Ubaldo. They are always there for you in case you need something, they are so kind and gentle. Their politeness makes you feel at ease and this particular combination of attention, efficiency and friendship really transforms a holiday into an unforgettable experience. We really recommend this "5-star" residence to anyone who is looking for tranquillity, serenity and hospitality. 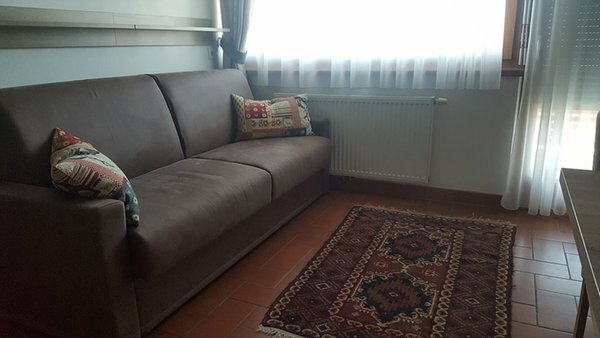 We enjoyed our stay: the apartment was really nice, comfortable and very clean. We had two cars but stayed in one apartment and still received two garage spaces. I went running in the morning and loved the whole neighbourhood - an impressively clean and unbelievably well organized one. Still, the thing that we were most impressed by, was the hospitality of the landlady who showed us everything and was always at our disposal. 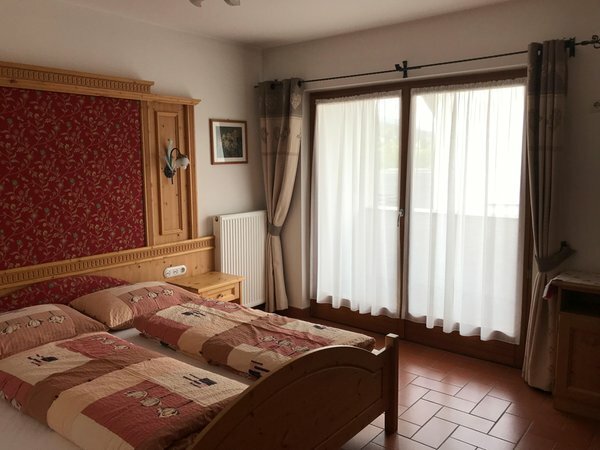 Alping Residence Brunico, is a nice and comfortable place for holidays. Perfect for skiers as well as walkers. The place is quiet and peaceful, bust still quite near to the town with shops and restaurants. The thermal pools, which are free if you live in the Residence Alping, are easily accessible by bus, which is free as well (the bus stop only a few steps from the garage where you leave your car). You can easily get to the skiing area Kronplatz by bus as well. The apartments are comfortable, clean and cosy, provided with everything you need. Pets are friendly welcome. The owner, Signora Claudia is kind, sincere, helpful and friendly. Everyone would like to have a friend like her. A very nice and modern apartment, covered parking, friendly host Claudia, free entrance to pools (Cron4) ecc.. This was the best accommodation we ever had in our whole skiing experience! Thank you! I came to Brunico for some professional training for the month and stayed here. I was thoroughly pleased with the apartment and the owners. I like to keep my reviews quick and to the point. So here it is. Price: unbeatable. I saved a ton of money by staying here than in any of the hotels in town. Amenities: everything you will need to make you feel at home. I enjoy cooking and the kitchen was well equipped for my needs, and you could easily cool for a family of four with what is provided. Also free wifi was a big big plus, it was reliable and a good connection. Good enough for streaming videos. Noise: it's a family place, so I did not hear a lot of partying or anything. Traffic from the road is non-existent, and there's no "stomping overhead" neighbors. The place is delightfully quiet. Comfort/cleanliness: the bed was nice for me, and the unit was very clean. And those total blackout shutters for the bedroom are incredible, seriously helps with the jet lag. Extra provisions: the free transportation tickets are great! I used them to explore around the valley and it's a great way to get where you're going. Be warned it's not a 24 hour system so be mindful of the bus schedule or you could end up having to call a VERY expensive taxi. The swimming pass to cron4 is nice. I took a dip on a warm day and it was lovely. The bus had a stop right in front of it! The owner of the place is on whatsapp and is very fast to respond to messages with helpful information. Distance to town (Brüneck/Brunico): an easy 10-15 minute walk if you don't want to wait for a bus. Shopping is close for food, bars, etc. Parking: secured garage so that's good If you have a car. Overall: I would definitely stay here again alone or if I had a traveling companion. Though you could get up to 4 people in here and still do ok. The owners were easy to work with and made sure I had all the information I would need to make my stay a pleasant one. This is a great little spot in the valley, at an excellent value. For the traveller with a budget but still wanting a quality place to stay, this is an excellent choice! Travel far, travel well, and travel safe people! Everything excellent! Quiet and wonderful location, spacious, very clean and cosy apartment, all furniture new inside, fully equipped kitchen, sunny terraces. Mrs. Claudia is very friendly and attentive person, who always ready to help and make our rest pleasant. We arrived to Brunico quite late, she was waiting for us, provided detailed information and got many other useful tips (free tickets for city busses, cards with free access to Cron4). Take our warmest regards, Claudia. I can highly recommend the apartment. 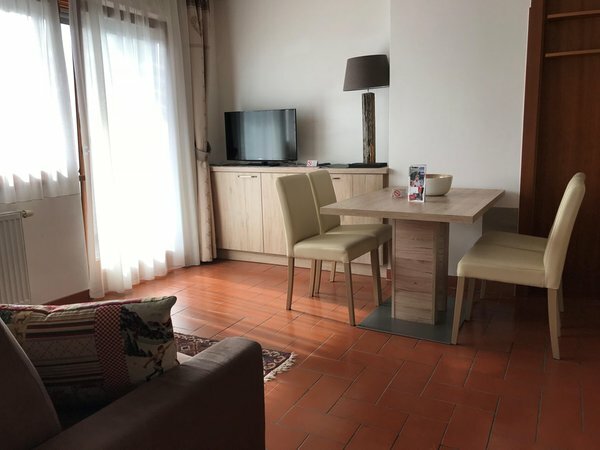 It is a really good place to stay in Brunico. The location was perfect. Surrounding was peacefull and quiet and it took only 3 minutes walk to the nearest bus stop, to the Kronplatz about 5-7 minutes by car. Moreover, you could use a card to the public transport, which was given to every guest during your stay in the apartment. The apartment was clean, well equipped and nicely furnished. 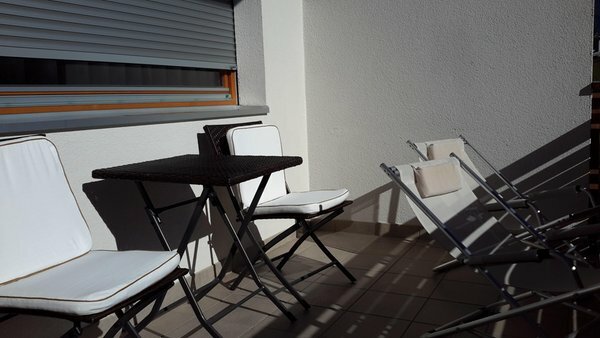 Additional advantage was a private terrace with garden furniture. The access to the Internet was free and wireless. When it comes to the garage place it was indoor and also free. Using a lift was a quiet convienient solution with your luggage. Welcome check-in and the Manager, who was very friendly and helpful, was a very pleasant surprise. Mrs Claudia took care of the guest in a perfect way. During the first evening we were well informed what to do in the city, how to get to the best ski resort and we got many other useful tips. We also received free swimming pool cards to the Cron4. My family was very pleased with the stay in Alping Residence. It is a place to recommend. Clean, spacious apartments with a wonderful view of the mountains. The apartment was nicely furnished and equipped with all the necessary appliances (fridge, cooker, washing machine, etc.). Bed linen was changed on a regular basis. The manager was very friendly and helpful. The village was within walking distance and there is good infrastructure for transport. Free bus passes were provided for my stay. I also had access to the swimming pools at the Kronplatz. Great place to relax! Excellent place to stay throughout winter and summer. 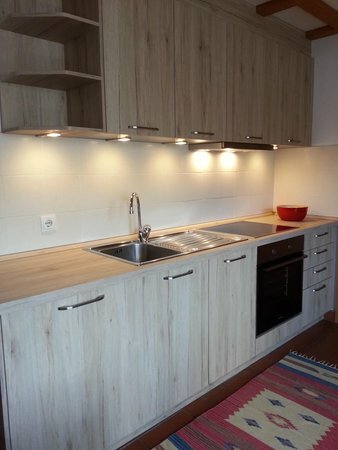 A really great apartment, always clean and well equipped with dishwasher, washing machine, tv sat and freezer. The free wi-fi works really good. The free garage place is capacious, with good access from the apartment. Additionally, I got free swimming pool tickets and there is a public transportation system. The location of the apartment is really comfortable. 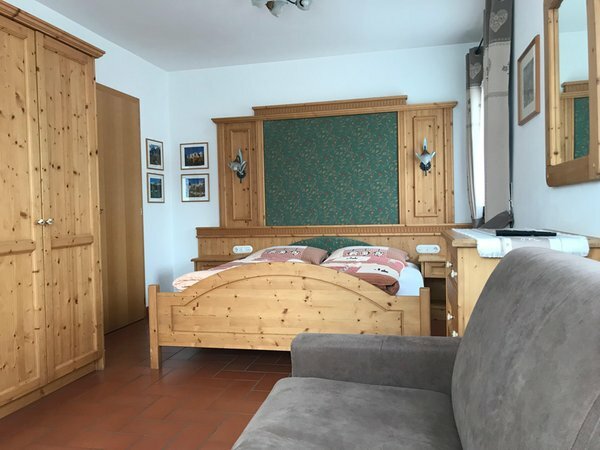 It is 5 minutes from Plan de Corones/Kronplatz by car. You can also use free ski buses. The bus stop is located very near to the place. Great quality at a great price! And the most important thing, Mrs. Claudia is a very friendly and always smiling person. If you have any problem she will immediately resolve it. For sure I will come back here in the future! New apartments, fully and well equipped, good location, good quality for good money. But first of all: nice, friendly, smiling and helping Mrs Claudia! She manages all perfectly, we had very good stay: thanks Claudia! 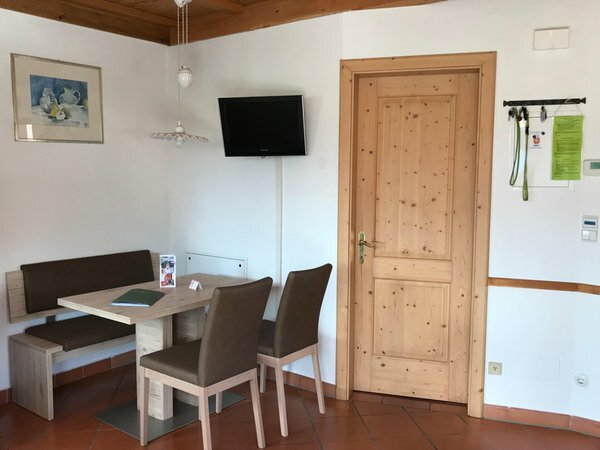 The skiing in Kronplatz is very good (large area with wide pistes, always ready in the morning, restaurants, facilities), parking and heated relaxing swimming pools after skiing are nice... The sauna area in Cron4 is really one of the best in Europe! Very well done and very well managed. We love Kronplatz! The manager was very welcoming and friendly. She was always available for additional information. The apartment was clean and well kept. The kitchen was equipped with everything necessary. We especially found the dishwasher very handy. The apartment is in walking distance of the grocery store and ski bus station. The ski resort Kronplatz is about 5 minutes away by car. There is a large parking lot right next to the gondola. Half of it is free and half of it is payable. We really enjoyed skiing there, despite of bad weather. The town itself is very beautiful. It takes approximately 30 minutes on foot to get to the centre. There are a lot of interesting little streets in the old part of the town. In my opinion it's worth coming also in the spring or summer. Information about the location: at 835m amsl, 80m from the bus stop, nearest slopes at 4km, closest cross-country trails at 4km. Are you interested in Residence Alping?